This $20 million project, completed in 2015, involved the master planning of a five year redevelopment that was to take place over 9 stages. It included several new buildings as well as extensive alterations to the existing structures. The college consisted of buildings that were tightly packed together, the spaces around them making for unpleasant wind tunnels, odd acoustics and poor visibility. Vehicle access-ways between the buildings posed a serious hazard to students, teachers and visitors alike. At its heart, the new design offers a central, triangular public courtyard and two smaller triangular spaces. The entrance of the school leads into this from a new road diverting traffic and the school bus away from the busy surrounding streets. ‘Active edges’ border new Administration offices and Creative Arts centres, with a terrace over the central space that can double as a stage. At the end of this terrace is the café, a focal point of the main public space with the Wharenui prominently located to the side, in a slight repose. S&T's focus was on a flexible open learning environment for the new teaching spaces. 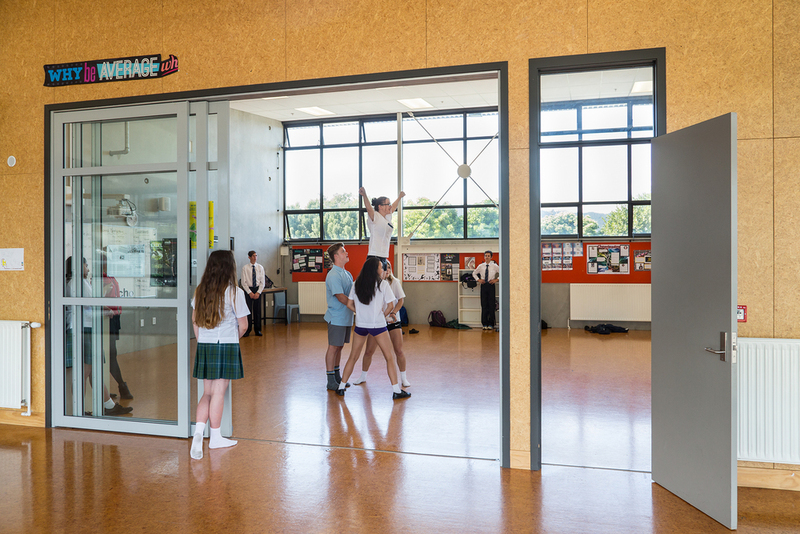 A four classroom module was repeated around a central common learning space, enabling a high level of connectivity that was suited to a variety of individual and group learning situations. By employing an innovative economical design, our designers have been able to supply brand new buildings rather than a merely refurbishment of the existing block as originally briefed. The wall construction is a thermally insulated sandwich of precast concrete panels, which provided a strong materiality as well as durable surfaces (both internally and externally) and a high level of thermal mass to regulate the internal environment. Careful daylight modelling has been undertaken to provide excellent natural daylight while avoiding glare and excessive thermal gain. S&T worked closely with the school to create not only a contemporary learning environment but also maintain a sense of school pride, identity, culture and community along with connectedness, accessibility and sustainability.